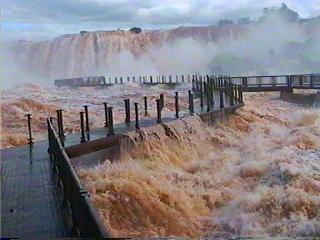 Argentina Discovery - The 10 Most Popular Posts on Argentina Photo Gallery in June 2014. Naveira Castillo incredible architectural beauty based on Gothic structure. One of the most mysterious and eccentric places in Argentina as it is forbidden to the public. The Naveira Castle is located in the town of Lujan, Province of Buenos Aires. The structure of this castle is based in Gothic art and is one of the most mysterious and eccentric places in the area that is forbidden to the public, but it certainly is an attractive full of mystical and where you can see a site entirely outside Series in Argentina. According to what we know about the history of its construction dates back to 1841 when Henry Beschtedt buys the land and hires one of eight architects who worked in the Basilica of Luján, the Belgian Ernesto Moreau for the work. He lives there with his daughter Irene, who later marries Dr. Domingo Fernández, ushering in the "Dynasty" Fernández Beschtedt then come Elina Lucia, José Salvador, Alberto Manuel, Adolfo Maria José María Manuel Flavio, Enrique, Alfonso Rodrigo, Matilda and Henrietta Maria Ines. Then in 1913 the Beschtedt Fernandez leave the property and its new owner was Matilde Golpe Brañas, Manuel Naveira widow with whom he had one son: José Roque Naveira coup. Then the only child of the couple, who expanded the castle was even more to hire the same architect before and himself a fan of Gothic art expert. Interestingly, in 1922, "Pepe" Naveira married Elina Beschtedt Fernández, where it had been born 25 years earlier. Elina's children Lucia and Pepe were: Matilde Fernández Beschtedt Naveira, Elina Lucia Beschtedt Naveira and Alfonso Rodrigo Fernández Fernández Beschtedt Naveira. Today, there have been 23 visitors (149 hits) on this page!